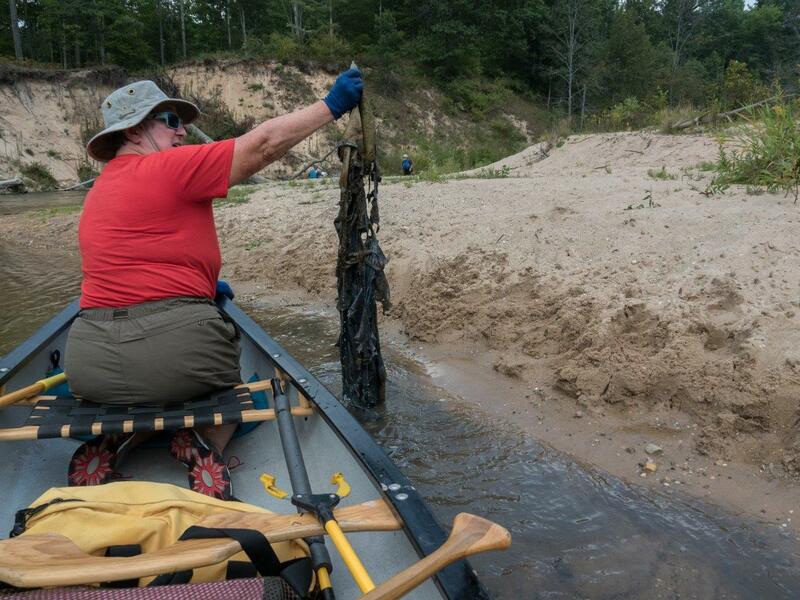 Eight TAPC members, plus Mark Miltner and Marty Gates from Pine River Paddlesports Center joined forces for an attack on river trash left behind from a summer’s worth of river users. From left to right top row: Terry, Tracie, Greg, Barbara, Marlene, John. Kneeling: Doug, Lois, and Mark. 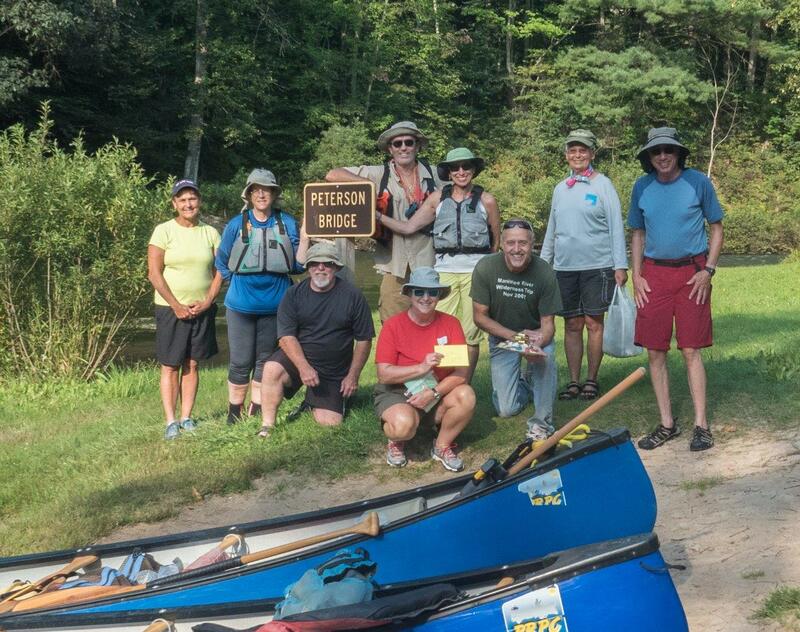 (Marty was parking the truck) Mark brought goodies for the group, and Lois delivered a gas card from the TAPC to thank Mark for all his shuttles and loaner boats. 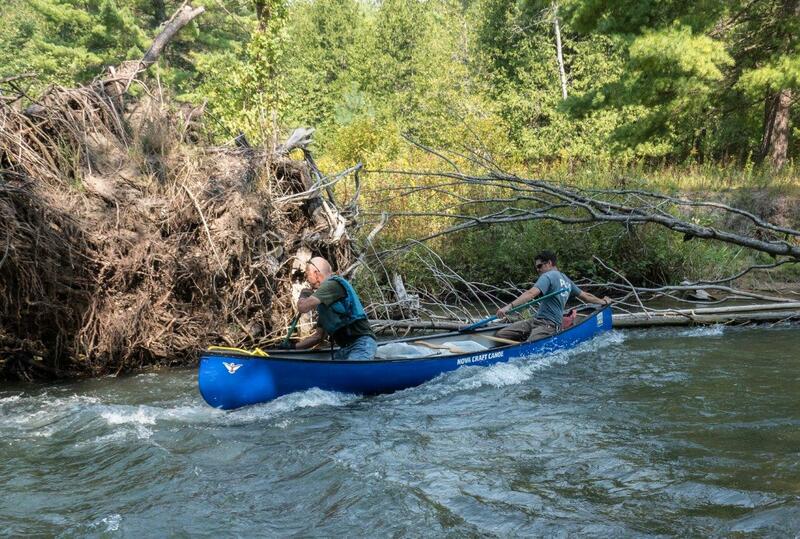 The stretch from Peterson to Low Bridge is the fastest section of the river, and gets the most usage. We expected a lot of trash, and we found it, but it actually wasn’t as bad as we have seen in prior years. We found the usual assortment of trash: bottles, shoes, food wrappers and plastic containers used for "Jello shots". Those little containers don’t fill up trash bags, but they take more effort to pick up than a water bottle, beer can, or flip-flop. 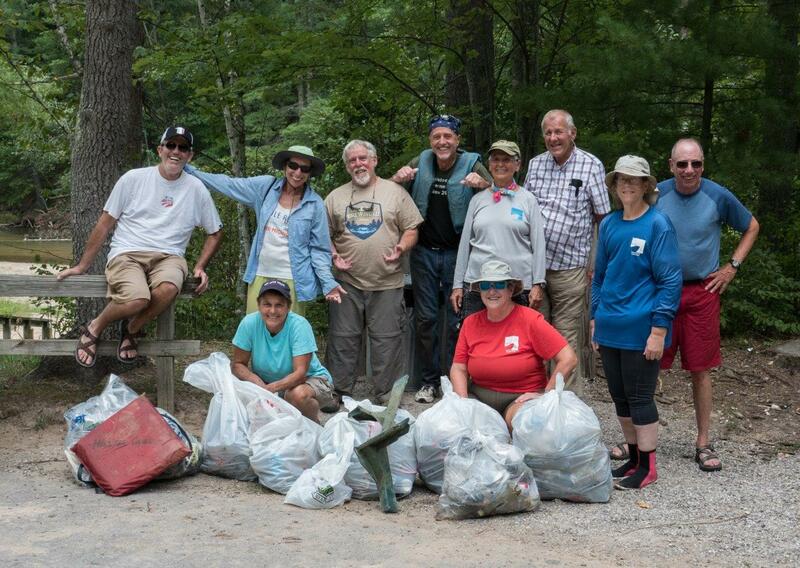 We had a very capable group, and everyone got into the spirit of “Leave no trash behind”. 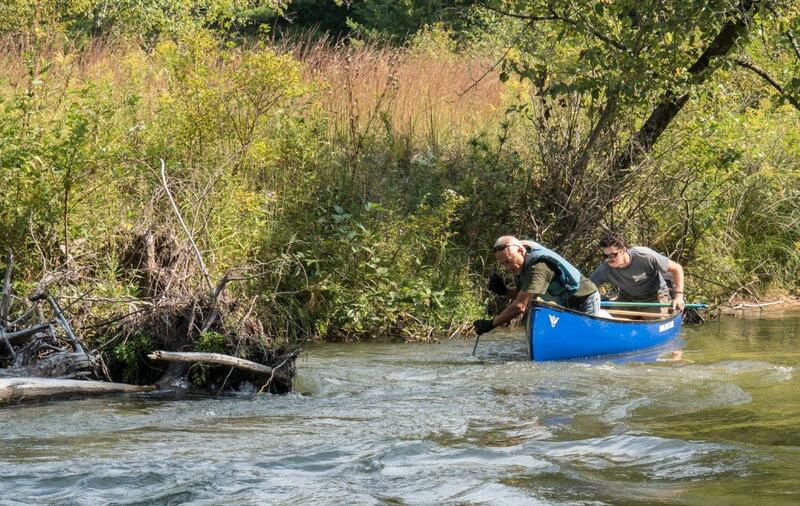 Marty impressed everyone with his ability to dance over floating logs to pick up trash in log jams. Mark was a little disappointed that he didn’t find more cans on the bottom because he loves throwing that spear at sleeping Bud Light cans. We finished right at 4 PM just as the weather was really threatening. Mark and Marty insisted on getting both of our private boats on our cars before they loaded the six livery boats they provided. He didn’t want us to get caught in the rain. If you recall, a hiker was killed from a lightning strike at 4:30 PM within about 10 miles of our location. 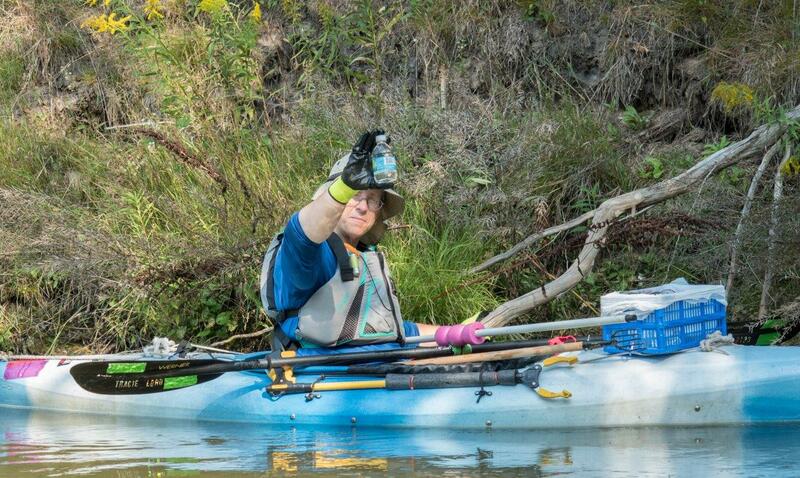 Tracie finds a "small" bit of trash. Someone wore cotton, and look what happened! This used to be a pair of blue jeans. The whole crew minus Marty who was busy loading boats. 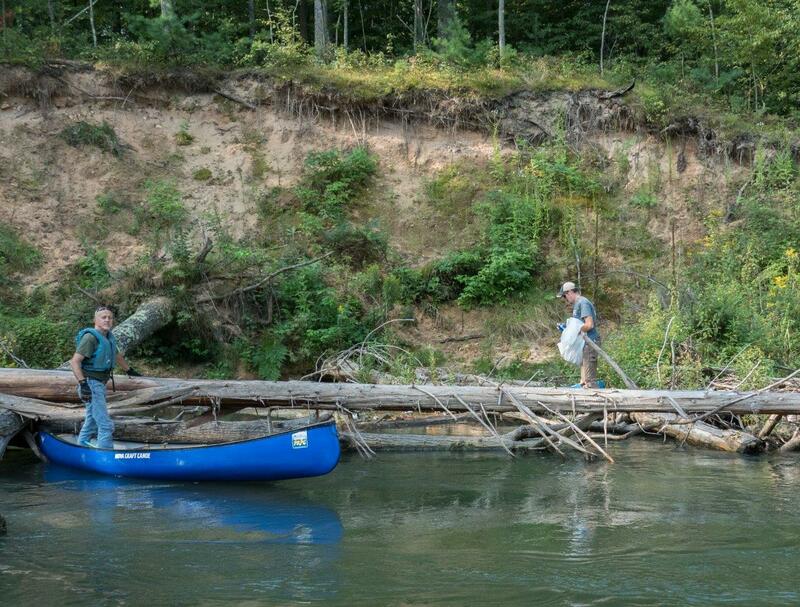 Report and photos by John Heiam, who married his wife because she can do a mean draw stroke!